OpenJar Concepts, Inc. (“OJC”) a direct-response and brand development firm with emphasis on performance driven, lead generation campaigns announces the release of their newly designed web site www.openjar.com, giving it greater accessibility to search indexing along with site responsiveness to adapt to smart phone viewing and other on-the-go devices. 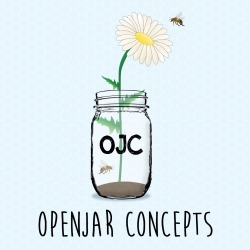 Temecula, CA, June 04, 2015 --(PR.com)-- Touting a refreshed web image with streamlined overviews of competency and offerings at www.openjar.com, OJC is poised for growth and continued promotion of the company direction to the ever growing and diverse advertising market place. The site among several moving parts highlights the OJC team, various business channels such as Lead Generation and Direct Response, mobile marketing ability, a robust list of PR announcements and other well produced promotional assets speaking to OJC’s processes and proprietary tracking and reporting technology known as, TrafTrack®. The company known to be very brand proud, also maintained some nostalgia by including a link appropriately titled “OJC Throw Back Site” on the home page, bringing viewers back to the original site that started all the buzz. Viewers of the site should take note of “The Jar Network” where a sample of OJC registered trademark advertising brands are shown with brief descriptions. Another interesting facet of the site within the menu of options is “Bees Gone Animated” which is an animated and entertaining view into the hive, highlighting the process of distribution and technolgy working together to create campaign success nation wide. The buzzing bees, as they affectionately refer to themselves, are not done yet. There are additional site aspects in development for release in the next 6-12 months such as expanding the view into their Digital Media suite of options for clients. Further, OJC has plans for expanded philanthropy efforts utilizing the cause of creating awareness around the importance of bees to our eco system. They plan to do this in several phases which include blogs and infographics for educational purposes as well as creating a company store selling their popular OJC swag inclusive of hats, t-shirts, water bottles, beach towels, blankets, pen sets, phone charger stations, beer steins and more. Development strategies are moving into place to take a percentage of sales from the OJC store that will be donated to organizations that align with OJC on this awareness cause. Further announcements and launch dates will be made in the near future regarding upcoming plans for this major cause based initiative.